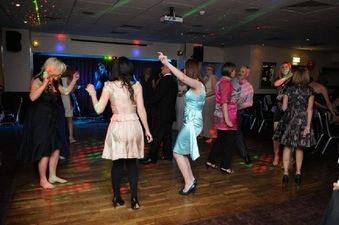 Pretty Vegas are a Function Band covering the North West Of England; Cheshire, Manchester, Merseyside and Lancashire. What better way to add sparkle and excitement to a birthday, engagement or leaving party?? Hiring a function band can add that extra something to your event, and with Pretty Vegas playing, we can work with any additional entertainment you have booked, or provide the entertainment for the entire event by playing the music before we play, between the sets and then letting Lead Singer, Mark Keown, take over to finish the event with dance-floor filling tunes. As Resident DJ in a top North West country hotel for over 10 years, he will liaise with venue staff to ensure that our sets and music fit in with other the timing of other key elements of the event, such as food service or speeches. Whilst the DJ package is not included in the standard price, if you are looking to incorporate an additional DJ in your event, having Pretty Vegas provide Band AND DJ, this cost is usually lower, with a much more efficient use of space and smoother transition between the two elements. - Background Music. Played during setup, between sets and after the show. - Set lengths to suit your requirements. Typically 2 x 45mins or 35mins and 60mins. - Smaller footprint than full bands due to use of our high quality backing tracks. 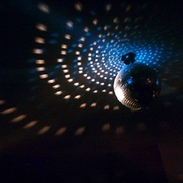 As mentioned previously, if you require a DJ package, this can also be discussed. If you have any specific requests for songs for the band to play, either on our our Set List or not, let us know and we will endeavour to accommodate your requirements. If it not currently in the Set, we may need a bit more notice, but either way, we would let you know if it was possible or not. We prefer to take suggestions on the key songs, rather than let Clients choose the entire Set, as we aim to incorporate a balance of tracks in our performances that cater to the audience as a whole. Please see our F.A.Q. for more details. If you are thinking of booking us for a wedding or function, have a look at our Facebook page and you will be able to see the events we have coming up. Obviously, you can see the Videos we have on here, but we would encourage you to come and see us in the flesh if you have any doubts. We pride ourselves on close liaison with Clients and Venues to ensure that when you book Pretty Vegas to perform, it is a stress-free experience, but you get the type of band event that you had planned to have. Have An Establishment That Hosts Functions? If you own or run an establishment that hosts functions that have live music, please do not hesitate to get in touch. We are looking to work with Establishment owners that promote their venues and be on their recommendation list when a client enquires about using their facilities. For privacy reasons, we do not promote any private events on Facebook, but welcome contact and Friend Requests from owners and will publicise that we are playing at your request. This allows you to reach our friends and let them know that what services you are providing. Please see our F.A.Q. for more details. For details of pricing and availability, please view our Contact page for the various ways in which you can get in touch. Public Gigs Functions Weddings F.A.Q.